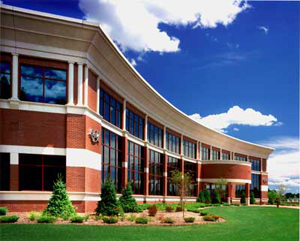 Big Y® is a family owned and family oriented retail food company serving people's at home food needs. Our goal is to exceed our customers' evolving expectations by constantly seeking better ways to create and deliver World Class service and value. Table & Vine, New England's premier fine wine, spirits, beer and specialty foods merchant is located in the heart of Massachusetts' beautiful Pioneer Valley. At Table & Vine, we believe some of life's most special moments revolve around a glass of wine at dinner, a cocktail with friends, or an ice-cold brew watching your favorite team. At any one time you'll find over 4,000 varieties of wine, 2,700 spirits, 2,500 domestic, imported, micro and craft-brewed beers, 150 artisan cheeses and 1,500 specialty foods. While our selection is the largest on the East Coast, it's our knowledgeable staff that sets us apart. For any toast, taste or budget, our experts will help you find just the right bottle to compliment your special occasions. 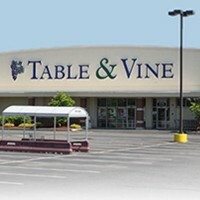 Discover the same great Table & Vine experience in your local Northampton, Greenfield, Wilbraham, Holden, Franklin and North Quincy, MA Big Y World Class Markets. Whether it's for your table, or from the vine, Table & Vine is New England's taste destination. 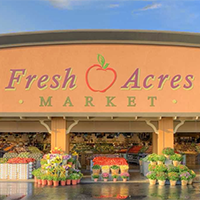 Our Fresh Acres team has put together a truly unique shopping experience of an old fashioned market with a contemporary flair. It's a place to have fun with food and savor the flavors of our region. Enjoy an open-air farmers market, chef prepared entrees, a natural butcher shop, fresh seafood on ice, an artisan bakery, a New York style deli, stone pie pizza, 400 varieties of fresh cheeses, 250 varieties of imported oils & vinegars, 150 varieties of fresh gourmet coffee, bulk foods, dairy & frozen foods, gift baskets shipped around the world, along with gourmet, natural, organic, and grocery varieties. From organic to specialty foods to the unique and exotic, this is no ordinary market. Experience the Difference. 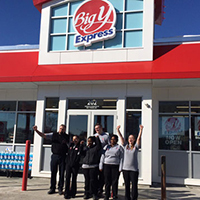 Big Y puts to work its years of expertise in snack food and ready to eat choices for these convenience & fuel stores. Check out the Big Y Express locations and take advantage of the unique discount offerings in each.